A great, vast, blue expanse stretched in every direction, his to patrol, his to explore, and his to set sail upon. Captain Spike – it had a nice ring to it, and with captain's hat and admiral's vest, he felt very much the part. Standing at the helm of the C. S. Infrequency, he felt very much at home, with his cargo of gemstones and silks above and below deck, to be shipped by February 14th. The clouds above, like marshmallows, and while smaller, oddly-coloured ships sailed in the distance, he made certain that his own white and purple galleon would be well-secured. All was well, all was calm. And then he fell out of bed, his dutiful alarmclock shaking the endtable with it's racket, rattling this way and that like some tiny, enraged little box of springs and cogs. Spike let out a groan, then an “Alright, alright already, I'm up...” But, rather than dutifully rise from the tangle of bedsheets and scales, he simply lay there, trying to drift back to his ubiquitous dreamland. The clock, however, would have none of this lollygagging, and though if by some mind of its own, the incessant ringing and rattling sent it slowly forward, to the precipice of the bedside furnishing, and then down onto Spike's forehead. It was, very clearly, time to get up. “Ow! Alright, alright already... ow.” A hand to his forehead, and up got the number-one assistant. A bit more painful than being dumped unceremoniously out of bed by an annoyed Twilight Sparkle, perhaps, but no less indignant. He picked up the still ringing alarm, clicking it off with a grumble, then set about remaking his bed, tidying up a bit, and grabbing a few sapphires. Breakfast food was blue! However, he didn't stay half-asleep long. It was not coffee nor gems nor magic nor even loud sounds that got him awake – it was a look at the calendar, it was nearly the eighth! “It's Monday already? Oh, man, where'd the days go! Hooves and Hearts day's coming!” This much, he knows! “I don't have a gift to give Rarity yet! Oh, I'll need a really good idea, I'd bet.” So Spike puzzled and pondered, then snapped out of his little rhyme, trying to think. Ok, it was monday, no need to panic. Just play it cool and think it through and get something really thoughtful. It was his first Hearts and Hooves where he actually had anyone to think about, so maybe it was important? He let his mind wander for a while – surely there'd be stallions at her door! They might even line up the evening before! With serenades, trinkets, sonnets and jewels, she'd have at her beck any number of fools! But her attention she'd win, and in that he'd entrust; he had to be Rarity's valentine, he must! Still... nothing came to mind. What did you get such an elegant pony for Hearts and Hooves day, anyhow? Did it matter that he didn't have hooves? Would that be something he'd have to compensate for? He'd need advice on this one, and he'd need it somewhat soon. So, with a quick bit of tidying and chore-completion, Spike gathered up his good backpack, a few bits, some gems, and what ideas he could gather, and started heading for the door. "To Ponyville market!" Fluttershy walked through the marketplace, her wings covered by a pair of baskets that hung at her sides. The baskets were weighed down with various vegatables and other supplies that she was carrying back to her cottage. In the center of her back rode Angel, a frown on the bunny's face. "That was not very nice, Angel!" the yellow pegasus scolded, looking back over her shoulder. "You were very rude to that pony!" Angel folded his front legs across his chest and glared back at the pegasus, unrepentant. He gestured at the baskets, and then at Fluttershy's coin purse. Fluttershy shrank back a bit. "W-well, I know he was overcharging for the lettuce, but you shouldn't have insulted him like that. Even if he couldn't understand you." Angel re-folded him arms and pouted, turning away from the pony's face. Fluttershy sighed, but continued to trot out of the market toward the library. Then, she spotted a little purple dragon coming her direction. "Good morning Spike!" she called out to him. Fluttershy noticed the backpack the dragon was wearing on his back, and the determined look he was wearing on his face. "I-is everything all right, Spike?" she asked. She hoped the little dragon wasn't trying to run away again. Twilight stood in the middle of the quiet little side room of her library and stared dully at the bookshelf in front of her. The book she was looking for was in here somewhere, at least it was suppose to be. Twi scoured through all of the shelves twice now and she still couldn't find the library's copy of Silly Filly, You Can't Eat All of Those Apples!. It wasn't terribly important that she find it today but Applejack had mentioned Apple Bloom looking for a copy and Twilight always loved it when she could help her friends out, especially with a book! The mare let out a little bored sigh and gave up on her search, at least for now. Since Spike handled most of the shelving and organizing, he probably knew where it was off the top of his head. As she walked into the main room of the library she yelled for Spike "Spike! Spike are you in here?" but there was no answer "I wonder where that dragon ran off to... " at this point she was simply talking to herself. Since Spike didn't seem to be home and Twilight didn't have much studying to take care of for once, she decided to head to town and see if she could find him. Few things bothered her more than losing a book, especially one that was hidden somewhere in her own library. After grabbing her saddle bags and putting a few books she was reading into one of the pockets she headed out the door. Twilight didn't have to go far, Spike was actually right near the library talking to Fluttershy. Twilight approached the two of them and smiled "Hi Fluttershy! Hey Spike!" but before she let anypony get a word in she continued on "Spike do you know where our copy of Silly Filly, You Can't Eat All of Those Apples! went? because I was just looking all over for it... and while I was looking around the library I noticed that a lot of the books weren't where they should be. When was the last time you double checked all of the shelving? I think it's on the list of things to do this week. Now that I think about it, where IS the to do list for this week? I haven't seen that around either." She finally stopped talking as she trailed off, thinking about her to do list. Upon stepping out the door, there were a number of things Spike hadn't expected. The Loch Ness monster was one of these things, as was a five-hundred-pound bear, or a pack of dancing timber wolves playing limbo with Scootaloo and Sweetie-belle. Fluttershy was slightly less unexpected than any of these, if only because Fluttershy did come over every now and then, but he still hadn't been expecting her there. "I-is everything all right, Spike?" ...smooth as sandpaper, sneaky as a bull elephant playing the cymbals. Spike stood there for a moment, his brain briefly trying to process what would be a good idea to say at this point. It was well past sunrise, pushing on towards the tenth hour of the day. If dragons were capable of sweating, Spike would've been, the baby dragon slowly inching his way back indoors. Okay, find an alternate out, sneak his way to the market. Yeah, totally a good idea! "Spike! Spike are you in here? It was like somebody had pulled his tail out of nowhere – his eyes widened, he jumped a noticable amount, and he almost chomped his bottom lip. Aaaaand there went sneaking back inside and out undetected. Bother. However, this sudden improvised pose lasted for only a split-second, and Twilight would be greeted with a fairly normal Spike, one whose expression spoke of HA HA I WASN'T SNEAKING OUT IGNORE THIS BACKPACK EVERYTHING IS FINE! Just a bit of a wince, a bit of a shifty glance, a smile that was just a little forced. The spike then got an idea. A sneaky idea. A helpful idea! Spike got an excellent, sneakily helpful idea! “Wait a sec, we're not making apple jellies and jams. You wouldn't... say, need me to bring that book to anypony, would you? Maybe... run a few errands? Go out for a little while? Cuz, hey, I was just telling Fluttershy what a NICE DAY it would be to head out and get some FRESH AIR.” He gave Fluttershy a somewhat lousy surreptitious wink – play along, Fluttershy, for the love of Celestia, please play along. He couldn't get stuck in the library for another two days reorganizing every book again, not when Hooves and Hearts was so close! Fluttershy looked down at the little dragon, confused. He seemed very startled to see her, and she hated to think she had scared him. But then, he started talking rapidly about the sunrise and Canterlot. He definitely seemed nervous about something, but not upset like if he would have been if he was running away. The yellow pony didn't get a chance to respond to the fast-talking dragon before he began to back away from her. He was nearly back to the door of the library when a voice called out from inside. "Spike! Spike are you in here?" The dragon jumped and turned around as a purple unicorn came outside. "Good morning Twi..." Fluttershy began, brightly, but Twilight was already questioning her assistant about a book she was looking for. Fluttershy smiled a little at that. Twilight was a good friend, but sometimes it seemed like she'd loose her own horn if Spike wasn't there to help her find it. The pegasus stretched a little while the pair discussed the library. Her wings were getting a little cramped under the baskets, but she could spare a few minutes with her friends before heading back to her cabin. She was thinking about the chores she still had to do when Spike turned to look at her again. "Cuz, hey, I was just telling Fluttershy what a NICE DAY it would be to head out and get some FRESH AIR.” The dragon looked up at the pegasus expectantly. Put on the spot, Fluttershy could only stutter "Well, um, it is a nice day..."
As Twilight finally stopped thinking about her list and actually looked at the baby dragon who was standing right in front of her, she realized that he looked like he was nervous about something. The two of them had been together long enough for Twilight to know when Spike was trying to keep a secret. "The culinary section! right..." Twilight said as she smirked and raised an eyebrow. Before she could open her mouth to say anything else about the library, Spike jumped back into the conversation with a long, even more suspicious offer to help out. Twilight continued smirking at Spike, just trying to figure out what the hay he was up to. "Oh it was for Applejack; well Apple Bloom really, but I can bring it over to sweet apple acres myself that isn't a problem! As for chores, I think the only chores that have to get done are in the library. At least... I can't think of any errands." her eyes wandered towards the big backpack that Spike was carrying. "What were you out here doing, anyway? you usually only bring a backpack if you're already doing errands." Spike knew he was caught, Twilight knew he was caught, Spike knew Twilight knew he was caught. Fluttershy might have been a bit out of the loop on this one, but that was smiply because Twilight had the unquestionable advantage of living with Spike, at least when it came to catching the baby dragon's attempts to be on the sly side. Still, maybe Twilight knew about his secret crush, but that wasn't public news or anything! One last attempt at saving face? "Well, um, it is a nice day..."
"What were you out here doing, anyway? you usually only bring a backpack if you're already doing errands." "Um... lucky guess that you'd need me to run something over to Sweet Apple Acres?" Spike gace Twilight a brief, somewhat guilty grin - one that gradually turned into a bit of a frown. "Yeah, okay, that was kinda far-fetched. W-well, see, the thing is, Hearts and Hooves day is coming up, and... well, I was going to get something special for, um, you-know-who. I know it's not for a few days, but everypony else knows that, and if I don't hurry up I don't think I'll be able to get her a good enough present! Please, Twilight, just this once? It's... important. To me." That would be a rare thing indeed - Spike wasn't often one to put his own tasks so much above and beyond those of those around him. His tone of voice was a bit quieter, but nonetheless somewhat pleading and sombre. He was owning up and telling the truth, that much should be clear. He omitted that the gift in question was for Rarity, of course; though his crush might have been obvious to anyone paying any attention, he still considered it a secret. Fluttershy got a big grin on her face at Spike's admission, but had to hold herself back from shouting out 'Oh that's so CUTE!' She didn't want to embarrass the little dragon. The fact that Spike had a crush on Rarity was one of the best known 'secrets' in Ponyville. Fluttershy found it adorable, but she had to keep the secret. She and all her friends were under a Pinkie Promise after all. "Oh Spike," she said the the dragon. "I'm sure Twilight can give you one day off so you can find something for, um, 'You-know-who'." She giggled a little at this, looking at the purple unicorn. "I could even help you with your shopp..." Fluttershy stopped as the bunny on her back tapped his foot. He gestured to the baskets she was still carrying. "Oh, right..." she responded, with a look of disappointment. "I need to take all of these supplies back home first. I'm sorry Spike, but I can come back later! Um, if you want." Pinkie Pie popped out of the backpack. "FOREVER!" She hissed, just as a reminder for Twilight. She hopped out of the bag and brushed herself off, leaving everypony to ponder just how long she had waited in there, as she had certainly not been in there when Spike had left. "Anyway Spike, you know what they say: the way to a mare's heart is through her stomach. Chocolates are a classic gift, but you can't just get any old box of chocolates. She is a lady with expensive tastes, you'll need some kind of upscale, imported sweets!" Pinkie pointed down the street at an import shop. "That place has some amazing stuff, if you want to check them out." Pinkie's face fell. "I'd go in with you, but after that last time they banned me from the store. I mean, how was I supposed to know how expensive that stuff was? I woulda paid them back eventually..." She frowned at the memory, but a quick change of perspective brought her back to an upbeat grin. "Oh well, at least I don't have expensive tastes. I just have expansive ones." She giggled. The smirk on Twilight's face turned into a warm little smile as Spike admitted what he was really up to. Spike got a little quieter as he explained what he wanted to do, and so Twilight just listened and nodded. When he was done she said "Oh Spike! you could have asked! I have this book all about hearts and hooves day." as she spoke she floated a big book with a pink cover out of her saddlebag. The book drifted over to Spike and hovered there waiting for him to grab it out of the air. "I could even go with you if you wanted! Since I already read the whole book I know all about what kinds of presents to get a filly for hearts and hooves day"
Just as Twi was about to ask Fluttershy if she wanted to come along, Angel Bunny made it very clear that he wanted the two of them to finish up their own errands. She decided to stay quiet and let Spike decide who, if anypony, he wanted to bring along on his shopping trip. During the short pause when Twi was waiting for Spike to speak up again, Pinkie stuck her head out of Spike's backpack and hissed at Twilight! Pinkie was obviously trying to remind Twi not to tell Spike's secret, but Twilight had already learned her lesson last time and certainly would not mention who the super-secret special somepony was. "I remember, Pinkie! A promise is a promise!" she paused, considering asking about how Pinkie got into the backpack in the first place, but decided maybe it was better not to ask. At this point Spike had a lot of options and a few ponies willing to lend a helping hoof, so Twilight just smiled and waited for Spike to let everypony know what he wanted to do next. This was his special shopping trip, after all. "I'm sure Twilight can give you one day off so you can find something for, um, 'You-know-who'. *Giggle* I could even help you with your shopp..."
Well, there was at least Fluttershy's vote that Spike be given some time to plan it! Angel had other ideas, of course, but Angel had his ways of pushing Fluttershy along with her agenda. The yellow pegasus was unquestionably the kindest pony he'd met, but her desire to help others did get in the way of her own responsibilities – or, they might, if not for the rabbit's reminder. Still, her advice would be invaluable, since Rarity and Fluttershy were such good friends! "Oh Spike! you could have asked! I have this book all about hearts and hooves day. “Oh, whew, tha-aaaa-whoa-whoa-waugh!” Pinkie hadn't been in the backpack to start with – he was sure of that! He couldn't pick up an entire pony! But, with her emergence from the bag he'd assumed to be empty, the sack seemed to get -very- heavy, and Spike struggled to stay upright, leaning rather heavily forward to counter Pinkie's weight. Once she hopped out, though, that left Spike leaning forward with no counterbalance. “Augh!” *Whamph! * It was a good thing dragon-scale was notoriously good at not taking damage, as dropping a baby dragon on his face might have otherwise been something to worry about. As things were, though, it was really no big deal, and Spike was up on his feet again soon enough, paying attention about halfway through Pinkie Pie's rapid-fire staccato of an idea. Chocolate... That would've been great for pinkie, perhaps, but Spike wanted to get something that would last, something beautiful. It would be a good idea for something normal, but no, this had to be special. And there was the deal-breaker – expensive. Spike wasn't a wealthy dragon, he'd have to figure something out. Still, it was another vote in Spike's favour! "Um, maybe not, Pinkie. I mean, Chocolate's a pretty good gift, but I was thinking something a little more... permanent." The baby dragon turned his attention back to Twilight, taking the floating book gently out of the air. Books. That was Twilight's usual approach, and hey, it usually worked! It usually worked a -lot-, now that he thought about it. So, now he had options – read the book as a field guide, and look totally obvious; ask Twilight along, which... well, that would be kind of embarrassing in a way, but he didn't trust anyone more than he trusted Twilight! Fluttershy had things to do, but her input would definitely be invaluable – if he could work up the courage to tell -another- pony his secret! And, finally, Pinkie Pie, who both knew who the pony in question was, and was fully enthusiastic... and though Spike was quick to recall how loud Pinkie Pie could be, he somehow thought she would be quiet when it came to secrets. While he was thinking, of course he couldn't help but think of asking maybe Sweetie Bell or Apple Jack... though, Rarity and Applejack were kind of opposites when it came to taste, friends or not, and there was absolutely no way he'd ask Rarity herself! Tick... Tick... Tick... BWONG! It was ten already, so spake the bells! The market was open already! It had been for hours! “Um... Actually, Twilight, I could probably use your help on this one.” A sheepish admittance, but still, ideas were starting to form... Gems? No, she had a lot of gems, and he couldn't rely on finding another winner as gorgeous as that firestone ruby he'd curated for so long. Besides, he didn't want to look like a one-trick dragon! He had to come up with something better. “Heck, I could probably use all the help I can get! Um, how about we meet up at the market when you're done, Fluttershy?" Fluttershy smiled at Twilight as she offered her assistance to Spike. She had known that Twilight would offer her assistance freely, but Spike took his job as "Number One Assistant" very seriously. He probably felt a little guilty about asking for time for himself. Fluttershy let out an "Eeep!" of surprise as Pinkie's head popped out of Spike's bag, but settled down quickly when she saw who it was. Nopony knew how Pinkie Pie did some of the things she did, but once you had been around her long enough, they just seemed normal. Her suggestion of chocolate was also very Pinkie. And Rarity would probably have enjoyed them, but the look on Spike's little face told Fluttershy that fancy chocolates just wasn't what he had in mind. “Heck, I could probably use all the help I can get! Um, how about we meet up at the market when you're done, Fluttershy?" "Oh Yes!" Fluttershy exclaimed happily. "I'll be back as soon as I can!" With that, she began galloping back to her cottage, with Angel barely hanging onto her back. "Permanent, huh? Hmm..." Pinkie mused for a moment before voicing the same issue Spike had been thinking of. "Well, I guess there's always gems, but that's kinda obvious, and it'd be hard to top that whatchamacallit ruby you gave her a while back. You don't want an old gift to overshadow your new one. Besides, she's got those magic powers for finding gems, so small ones are less r... oh, less of a Rarity. Hee hee!" "Well, if you can't think of anything, why not just browse. There's tons of stuff at the market. Why, you never know, the PERFECT gift could be sitting out there, just waiting for somepony... or some dragon to come buy it! I mean, researching is fine and all, but everypony is different. You're not gonna find anything in a book that will tell you exactly what to get. I mean, unless somepony wrote a book specifically on courting her. That would be weird... and kinda creepy." All sorts of ideas raced through Twilight's head as she tried to think of good presents for Rarity. Spike wanted something that would last; so flowers and chocolate just wouldn't do. Gems were beautiful, but it would be hard and expensive to top the last one he gave to her. Shopping for a pony like Rarity was never an easy task. As everypony was standing around thinking it hit her... a book! Her face lit up and she excitedly said "Spike! You should get her a book! you could find her a book all about fashion or maybe just a book about sewing! That would be sweet AND practical". Twilight was grinning like she just had the best idea ever. "Wouldn't it be perfect? It's unique, unexpected, and who doesn't love a good book?" "Well, if you can't think of anything, why not just browse. There's tons of stuff at the market. Why, you never know, the PERFECT gift could be sitting out there, just waiting for somepony... or some dragon to come buy it! I mean, researching is fine and all, but everypony is different." Which was why he was off to the market in the first place - maybe the right gift would just, well, be there, and not be bought by somepony else. "Spike! You should get her a book! you could find her a book all about fashion or maybe just a book about sewing! That would be sweet AND practical"
A book? Well, yeah, everyone liked books, but somehow, that didn't quite sem like the perfect gift. It was definitely a good idea, but it just didn't say to him 'Yes, this will work!'. He should've expected that one to come up, really. If it wasn't for the fact that Twilight was the most powerful unicorn he'd ever met, she'd probably have a book for a cutiemark! Still, the market seemed like the best option, and as Fluttershy made her way off, Spike started the trek, tugging up his backpack and headding for the market at a fairly reasonable pace. "Well, that'd be a great casual gift for just about anypony, Twilght, but I dunno... I was thinking something with a little more, uh..." Oh, what was that fancy word, rigt on the tip of his tongue. "Grander? No, wait, grandeur! That's it. But, hey, we can always look around!" Grandeur, for Rarity, on a budget of fifteen bits or less. "Oh, wait..." Spike bit his lip briefly, realizing that his idea of a good idea was also possibly an impossible one. A rattle of his bag reminded them that he also had gems with him - he'd have to go hungry if he wanted to barter with those, but for Rarity, it was probably worth it! And then, a flurry of ideas hit him, right in the brain. His face lit up briefly, even as he made his way to the market. "Maybe a book might work, if it's just the right one... Like a spellbook! Or, or maybe something fancy to wear from Canterlot... I guess a new sewing machine wouldn't hurt, but she's probably got a really good one already, and that doesn't sound too romantic... Or maybe something decorative, something only a dragon could get her... whatever that could be." Yeah, he needed help on this one, lest he think himself crazy with ideas and why they might not work. Pinkie burst out giggling. "A book? Oh Twilight, you're such a great comedian! There's no way I could have delivered that joke with a straight face! Hee hee hee, a book for hearts and hooves day." 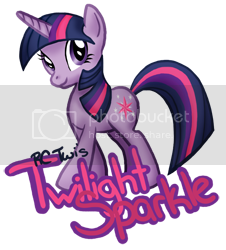 She bounded over and slapped Twilight on the back jovially. "Hmm, I dunno much about fashion. I don't think anypony in Ponyville really knows it that well, aside from Rarity of course. The last time we tried to do fashion stuff it didn't end well. You definitely don't want to get her something unfashionable, so clothes could be risky. Oh I know, you could get her a big old bouquet and have it sent to her." Her stomach rumbled. "Mmm, I could go for some flowers right now." Rainbow Dash lazed in the boughs of Twilight's tree, reading one of Twilight's Daring Do books - Daring Do and the Gem Mines of Coatl'topaz. She was buried in the book, and liked this hiding place... it was quiet, but not *too* quiet, and she was rarely disturbed. But now - now ponies were making a racket right under her, and it was her friends, and Spike. Her mind raced - she saw a whole variety of possible solutions for Spikes' problem. All sorts of awesome gifts he could buy ... but she groaned quietly at the laaaaaame suggestions of everyone else. Well, chocolate was good, but the rest? Boooooring! She dropped out of the tree, snapped the book shut over the bookmark, and offered the book to Twilight, ignoring any startled expressions that might arise from her sudden entrance. "A book on sewing? She already *knows* everything about sewing! No way, you need a book that'll get her heart beating! An exciting book! Like some awesome new Daring Do novel! And hey, getting her clothes is a great idea, but she's already got all sorts of fancypants frilly dresses and stuff... you need to get her something different and rad! like a WonderBolts costume!" Rainbow Dash pulled out a pair of shades, and slipped them on. "Don't worry, Spike - you've seen the fan club I've got here in Ponyville. The Love Doctor is *in*. I gotcher back. What you need, obviously, is a wingmare... and who could be a cooler wingmare than me?" She flexed her wings demonstratively. "Fluttershy's too nervous, and Twilight's too bookish. You're not gonna read about romance in a book! You need to be bold! Forward! Aggressive! And I can teach you how!" Twilight's enthusiastic smile started to fade as everypony dismissed her book idea. She really thought a good book would have been perfect for Rarity, everybody likes books. So when Pinkie started laughing and called her idea a joke she just tried not let it get to her. Pinkie wouldn't be mean on purpose "Well you know me and uh... jokes... those are ... always fun" she strained and flashed an awkward grin. However, since this was Spike's big present, if he didn't think a book was just right then it wasn't just right, and that was fine. Twilight sighed "Well ok Spike, if you don't think a book will do, we should shop around until you find something that's just right!". Spike nearly interrupted her when he got hit with a wave of ideas "I could help you find a spellbook, but something only a dragon could get? I don't even know what that would be, and I don't think any of us ponies could help you with that one" she said. Although at that point she wasn't even sure if Spike was coming up with real ideas anymore. Twi thought it was better to assume he was serious. Suddenly out of nowhere, Rainbow Dash dropped down from the sky and lazily handed a book to Twilight. Twi just used her magic to float the book in front of her and saw that it was one of her Daring Do books. It was so nice to see Rainbow Dash reading something. Before Twilight could ask her about the Daring Do book, Dash listed off a few of her own suggestions for Rarity. "A Wonderbolts costume....?" At this point Twilight just trailed off and let Dash talk to Spike. Books were probably out; even if Twilight had suggested the idea, popular consensus seemed to be unanymously against her. Er, that was, everypony thought it wasn't a great idea so it probably wasn't. But now, he had just about everypony except Applejack giving him suggestions! That was.... well, both good and bad. It was definitely great that everypony else cared enough to lend a hoof, but on the other hand, Spike had a nagging suspicion that getting all four of his friends to agree on any single thing might be a tad difficult. But it wasn't all bad! At least there were a lot of decent ideas being thrown about! "Oh I know, you could get her a big old bouquet and have it sent to her!" "You need to get her something different and rad! like a WonderBolts costume!" "We should shop around until you find something that's just right!" "Wow, uh... Flowers are definitely a good extra, but maybe we should stay away from fashion. I mean, we'd have to go all the way to Canterlot to get something impressive enough, and even then there's no real telling if it'd even fit!" And, with that, Spike took a deep breath, tightened the straps of his backpack, and tried to energize himself with some of the fairly ample amount of confidence floating in the air. Rainbow Dash's enthusiasm was definitely invigorating, and Twilight's support always had a way of making obstacles seem that much easier to overcome. Pinkie-Pie was great for keeping a smile on everyone's face - usually, at least. "But hey, we're not going to get anything just hangin' around here! To Ponyville market!" So, brimming with confidence and ideas, Spike decided to at least try and lead the way. Pinkie rolled her eyes as Rainbow Dash . "Oh Rainbow, you can't just jump in on a joke like that, you need the proper timing. The whole comedy dynamic changes when you add another pony to the mix like that. I have a book on comedy I can lend you if you want, oh oh oh, and the chapter on practical jokes is fantabulorius!" She smiled and turned back to Twilight, who seemed a little put-off for some reason. She must have been expecting a bigger laugh. Spontaneously, Pinkie leapt at her friend and gave her a big hug to take her mind of whatever was bothering her. She may not always understand Twilight, but she definitely wanted the purple unicorn to be happy. "Come on Twilight, lets sing a song about shopping for Hearts and Hooves gifts!" She released Twilight, took a deep breath before pausing for a moment and looking around. "Actually on second thought, that might attract too much attention, it is supposed to be a secret and all." Disappointed, she ambled after Spike, though her disappointment didn't affect her mood for long as her thoughts turned back to the gift itself. "Hmm, I bet Rarity would be extra critical of how romantic the gift really is. Really, the best pony to ask would be..." She gasped. "Of course! We could ask HER! Pinkie, you are a genius! Hmm, but we'll need disguises..." She trailed off, considering. Rainbow Dash let out a soft laugh. "Man, Pinkie, every time I start to think you and I are thinkin' the same thoughts, you go and think something *totally random*." She shakes her head in amusement, rolling her eyes. "I *do* wanna see that prank book, cause that sounds cool! But for helping Spike, we do agree on one thing! Only Rarity knows what he should get! But see, that's what a Wingmare does for her friend! No disguises needed!" Rainbow Dash flourishes her sky blue wings again. "I'll just be real subtle-like, and start a conversation with Rarity, and hopefully not end up wearing something ridiculous again, and when I come out, I'll know just what we need!" She thought a moment, tapping her hoof against her chin. "You can still wear a disguise, though, Pinkie, if it makes you feel better!" Twilight just smiled and let Spike lead the way to the Ponyville market, there was sure to be something there that he thought was perfect, at least she hoped so. Considering what a big crush Spike had on Rarity, it was possible that nothing would seem good enough to him. However, no matter what Spike ended up picking out, Twi had a good feeling that Rarity would love and appreciate it just because it was a gift from Spike. Twi quickly decided against pointing that out because finding a perfect gift was very important to him and she didn't want Spike to get the impression that Rarity would just try to be nice instead of really love the present. Twi's thoughts were starting to get a little sidetracked and she was thinking about all sorts of different presents she'd given to ponies in the past. Just as she was worrying if Princess Celestia didn't really like the book that Twi gave her as a present last year, Pinkie seemed to jump out of nowhere and give her a hug. A little startled, Twilight let out a little "Eep!" before realizing it was just a Pinkie hug. Before she could even apologize for her startled response Pinkie wanted to start singing, so Twilight did what she always did when Pinkie wanted to start singing, smiled and nodded. Once Pinkie decided that singing probably wasn't the best idea in this case, Twi just hugged her friend and nodded again "Probably for the best, we can sing about it once we find Spike's perfect gift!". As for Pinkie's disguise idea or Dash's talking to Rarity idea... Twilight didn't have a good answer. So, instead of saying anything Twilight just turned to Spike, smiled and said "Well, it's your present, so this decision is on you, boss". "Tell ya what, you guys can do the singing, and I'll just kind of sneak off undetected. It'll be a great diversion! Everypony will be so busy watching you guys that they'll totally skip out on watching me! Thus I will make my escape entirely un-noticed, and before you know it, I'll have a box all wrapped up and ready to go!" It was of course reasonably well-known that the baby dragon was more or less incapable of singing - what few times he'd tried ended up in some combination of hoarse throat, ear-throbbing gnarly warbles, or fire. None of these were really what anyone wanted, so, skip singing for now. Still, having Twilight Sparkle call him boss... that felt weird, and for some reason, he didn't really feel comfortable with it. Not that he'd say anything about it yet, that'd just be silly. Still, in-charge or not, it was kind of the blind leading the blind. On-budget, romantic, elegant gift ideas for Rarity were still somewhat scarce. It had to be something that would last, too, no question about that! A gift you could eat was tasty, but... three weeks later, you kinda forgot about it! That took 'wine' off the list - wine was an appropriate gift, right? No? Did it have some sort of meaning behind it? Eh, what'd it matter, it wasn't much of an option anyhow. Still, towards the market he marched, starting to pick out at least a few objects on distant stalls. A cider bottle? No. An apple-masher? Also no. An egg-slingshot? Wow, no to the power of no. Beeswax? Well, at least it wasn't a slingshot. Scented candles? A tiny little step in the right direction, but not nearly snazzy enough. A chandelier? Ok, that was pretty, but... no, not very romantic. Yeah, he was gonna need some pointers on this one. "Actually, that'd probably be a huge help, Rainbow Dash. The going off and being subtle about asking Rarity what sort of gifts she'd like, that is. You wouldn't mind, would you?" Whether Pinkie was serious about helping her or not... well, Pinkie simply was when it came to being places. She was somehow hiding in his backpack earlier, for Pete's sake, that didn't even feel like it should be physically possible! Rainbow Dash flitted over the group as they walked into the fair, pondering the problem. "Hey, Spike, course I don't mind! I'm Rainbow Dash! And Rainbow Dash never lets down her friends!" She grinned happily. "I know *just* how to do this! I've got it all planned out! Trust me, Rarity won't have a clue what's actually happening!" She tapped her hoof to her forehead and then lifted up into the air, darting off in the general direction of the Carousel Boutique. "Awww," Pinkie looked disappointed as Rainbow flew off. "But it's not the same just wearing a disguise by myself." She scowled. "And I had just the idea for the perfect disguise, too." She sighed and quickly bounced back into her usual peppy mood. "Oh well, I'll file that idea away for the next time we need disguises. Twilight, you're not allergic to nightshade are you?" "But you're right of course, we can sing later, when we're not in a crowd. Ooh, or we could sing now but just sing about something else completely so nopony knows what we're actually doing! That's brilliant, Spike! Do you two know the one about the walrus and the seanicorn?" Without waiting for confirmation, she began to belt out the bawdy ballad, trotting ahead of Twilight and Spike far enough that nopony would ever possibly suspect they were on the same mission. She picked up a few random backup singers as she meandered, most of whom seemed a bit intoxicated, but it was nowhere near as big a hit as that smile song had been.